Step 1: Click on button ‘Technical Dispute’ from left pane. Step 2: A list of technical issues raised by the seller is shown. 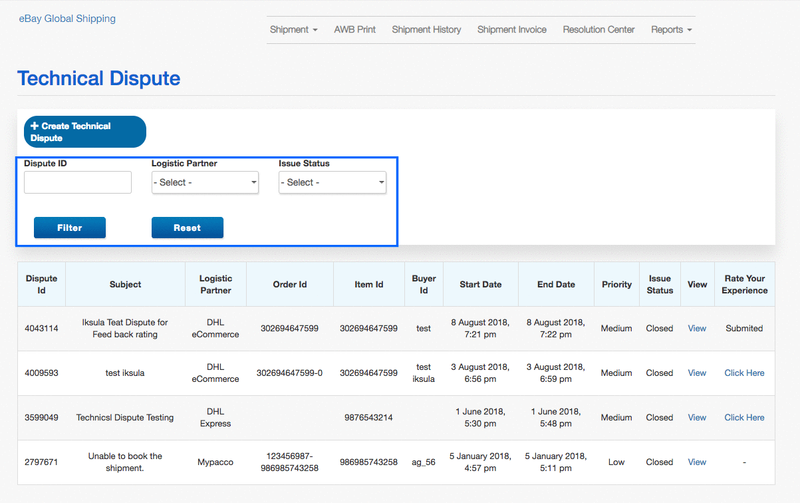 Step 3: Results can be filtered on the basis of Dispute ID, Logistic Partner and current issue status. Click on Filter to get the results. Click Reset to remove any filter applied. Step 4: The seller can click View against an issue to view the details and any updates regarding it. Step 5: The seller can raise a technical dispute on click of Create Technical Dispute. 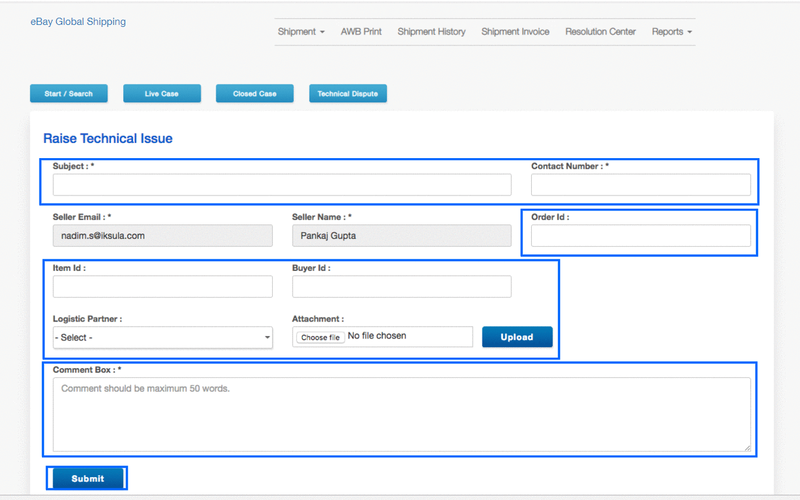 Step 6: The seller fills in the details of the issue faced along with a relevant attachment if any. On click of Submit, the issue is raised and eBay Ops team gets notified about the same. Step 7: The seller can then track the issue in the list displayed on click of Technical Dispute from the left pane of the Resolution Center.